Tailgate. Celebrate. Advocate. Inclusion in Food and Sports. For generations, SPORTS have served as an important vessel for inclusion, bringing people together from all walks of life – Lately, in this day and age of divisive behavior from our commander in chief, sports fan are saddened to see all the mean spirited character assassinations spawned from free minded players kneeling for social justice, standing up for free speech, and even NBA GOAT Lebron James being criticized after opening a school for low income, high risk kids – so, as the fall football season kicks off, and tailgaters ignite grills and imaginations all over campuses across the country, Edible Culture offers up a series of Tailgate Foods to celebrate this year’s football season that is INCLUSIVE for ALL – When we say WIDE WORLD of SPORTS…we mean it! Combine sambal, gochujang, oyster sauce, Worcestershire, coriander, sesame oil, 3 tablespoons cilantro. Set aside. Ignite the grill, creating high heat for half of the grates, and low heat for the other half. Grease the grates accordingly, until smoking hot. Add the corn to the hot side of the grill with the husks still on; allow to smoke, sizzle, char for about 20 minutes total. 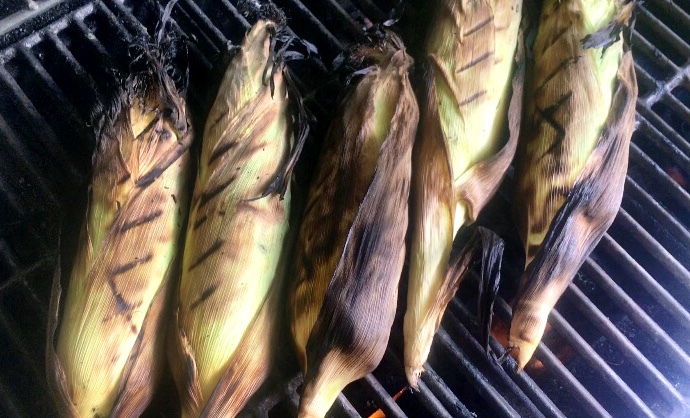 Remove corn from the grill, and after additional 5 minutes, remove silk and husks. Note the incredibly inviting, earthy fragrance the charred husks emits in your general vicinity - a beckoning for guests to come take a peak, taste. 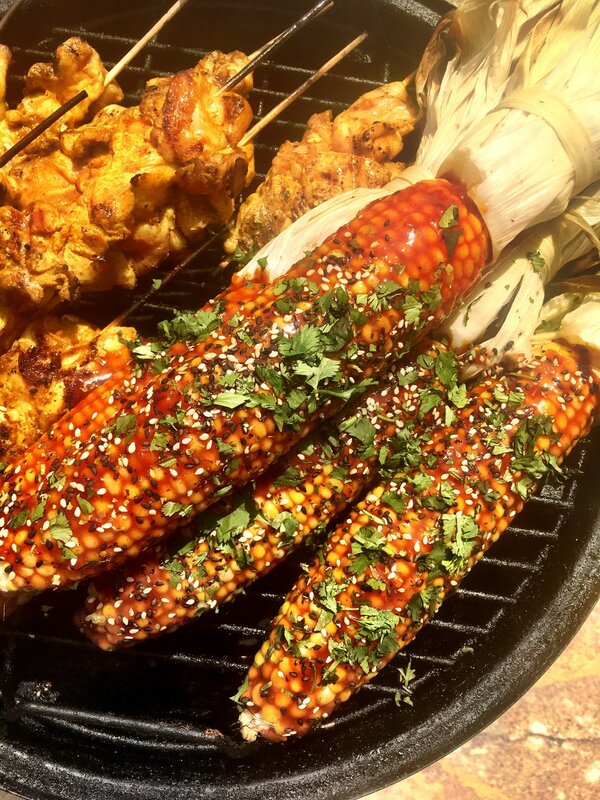 Place the corn on the hot side of the grill, then slather with sauce. Allow to baste and char on all sides for approximately 10 minutes. Transfer to cooler side of grill for two minutes, covered. 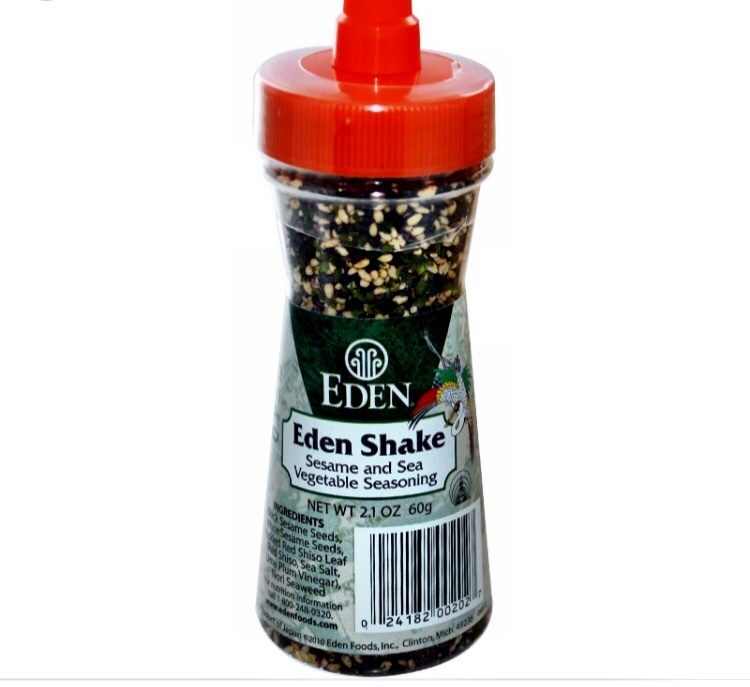 Remove and slather with additional sauce, the top with Eden Sesame and Sea Vegetable Seasoning and remainder of fresh chopped cilantro.